Parts of an Essay. Introduction Paragraph. What is an introduction paragraph? The introduction paragraph is the first paragraph of your essay. What does it do? 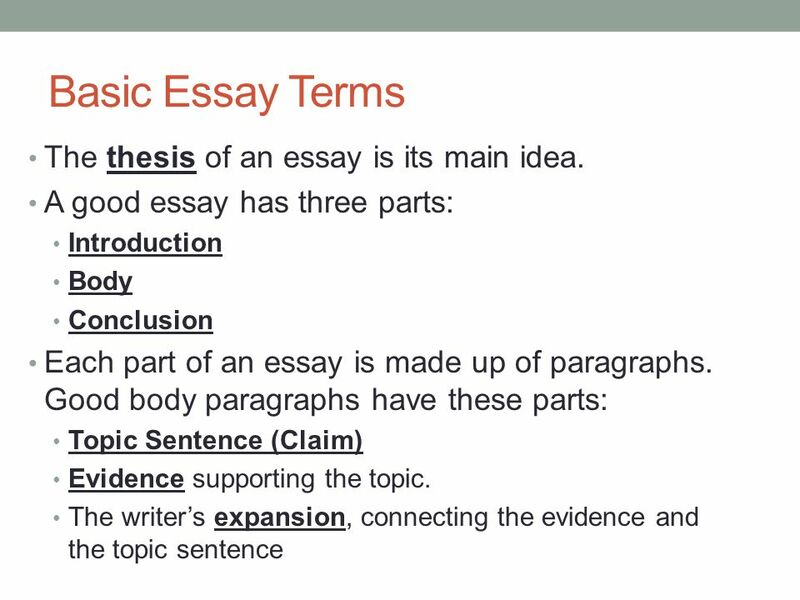 It introduces the main idea of your essay. A good opening paragraph captures the interest of your reader and tells why your topic is important. How do I write one? 1.